KITENDE – It has been a trying past few weeks for Vipers SC. 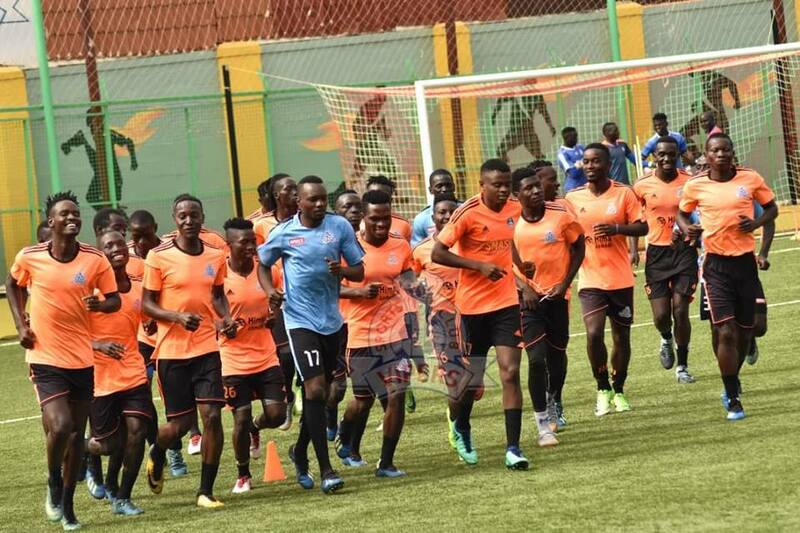 The defending StarTimes Uganda Premier League champions (SUPL) have exited the CAF Confederations, failed to win in their last two league games and not scored a single goal in the last 12 days. On Friday, they get a chance to resume business as usual why they host Kirinya JSS in the SUPL. Currently seated 6 points behind leaders KCCA FC, the Venom faithful know that they can’t afford any more slip ups as they risk falling far off title contention, early. It will however not be an easy fixture, coming up against the Students, who they (Vipers) have not defeated in any of their last two meetings. “It will be a tough tie where we shall need maturity, character and so much determination to win, said Vipers Coach Nam Ouma ahead of the game. “Victory is what the team needs especially after dropping points in the last games. Going into the game, Vipers are expected to be without defender Bashir Asiku who is still recovering from an Ankle injury. However, Tito Okello and Halid Lwaliwa are expected to return to the team after recovering from a knock and Rib injury, respectively. For Kirinya, they start life under Abby Kikomeko who replaced Charles Ayieko as head coach. Kikomeko who is in his second stint at Kirinya knows the task that is staring him in the face. Kirinya have been horrible this season, winning only four of their 15 first round games. However, they have looked fine away from home with three of those victories coming away from home. Coming up against Vipers, Kikomeko and his charges will enter into the game knowing that a point will sound as good as victory but they will have to be at their absolute best to take anything home. This will be the 6th top flight meeting between the two sides ever since Kirinya were promoted to the top tier in 2016. In the first five, Vipers have won 2, Kirinya 1 and two draws. The reverse fixture last season ended in a 2-0 victory for the Venoms while the first meeting between the two ended 2-2. Despite still being unbeaten in the League, Vipers have won only one of their last 5 games (D4 L0). The last team to defeat them at home was URA FC, back in November 2017. At home, they have not lost any of their last 17 League games (D3 L14). For kirinya, they are winless in four of their last League games (D2 L2). Their last victory was the 1-0 win away to paidah Black Angels on 11th December.